Natasha Ward remembers sitting in the middle of her Southeast Portland house, with boxes and baggage all around because she planned on moving, and receiving the Skype call. "Deal or No Deal" producers were on the other end of the call. "I was in a T-shirt and blue jeans, and the first thing they asked me was, 'Do you have a cocktail dress handy?'" says Ward, who lived in Portland and worked in modeling the past several years. "Well, I got an in-person interview that I did have a cocktail dress for, and then I got a call from a producer asking if I could be in Orlando (Florida) in two days to film the show," she says. It was a done deal, and Ward became the model holding the No. 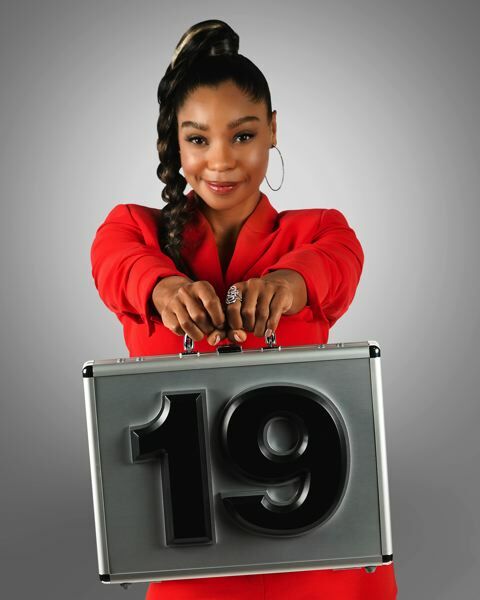 19 briefcase on the CNBC game show starring Howie Mandel, the host and executive producer. Ten years after the game show originally finished airing, the season was scheduled to debut Wednesday, Dec. 5, with back-to-back episodes, starting at 8 p.m.
(Although it appeared a version of the show ran on NBC on Monday night; check your TV listings for scheduled airings). The game: Contestants make high-stakes decisions to take or reject offers of life-changing money from 26 sealed briefcases full of varying amounts of cash — ranging from a penny to $1 million … The mysterious woman known only as "the Banker" plays the odds in an attempt to buy back each contestant's case for the lowest amount. Now with the added ability to counter-offer any banker deal once in the game. Ward grew up part of the time in Oregon and part in the San Francisco Bay Area and graduated from high school in Las Vegas. She recalls watching "Who Wants to Be a Millionaire" and "Deal or No Deal." Her stepfather was a big fan of "Deal or No Deal" and "he passed unexpectedly in April just before I heard I was on the show. It was surreal that I ended up on the show," she says. After graduating with a degree in political science and education from UC-Irvine in California and putting off law school, Ward spent the past seven years living in Portland, living close to her mother and other relatives and friends and modeling, among other things, in a campaign for Nike through her agency, Sports & Lifestyle Unlimited. "My dream was to land a job in marketing at Nike and, lo and behold, I didn't land a marketing job but several modeling jobs," says Ward, who recently moved to Los Angeles. She says she'll be in North Face and Nike campaigns this holiday season. Ward went to Universal Studios in Orlando for "Deal or No Deal" filming, and had fun watching contestants win money. The show went through 31 contestants in the season's taping, which took five weeks. "You get completely invested in the contestants, their stories, aspirations, dreams," she says. "We have no idea what's in our case, and you hope you can be part of their dream come true. Hopefully that's the case — no pun intended — and sometimes it is." "There's nothing quite like doing live taping of a game show with a studio audience," Ward says. "The cool thing is you're not playing a character, you're playing yourself."